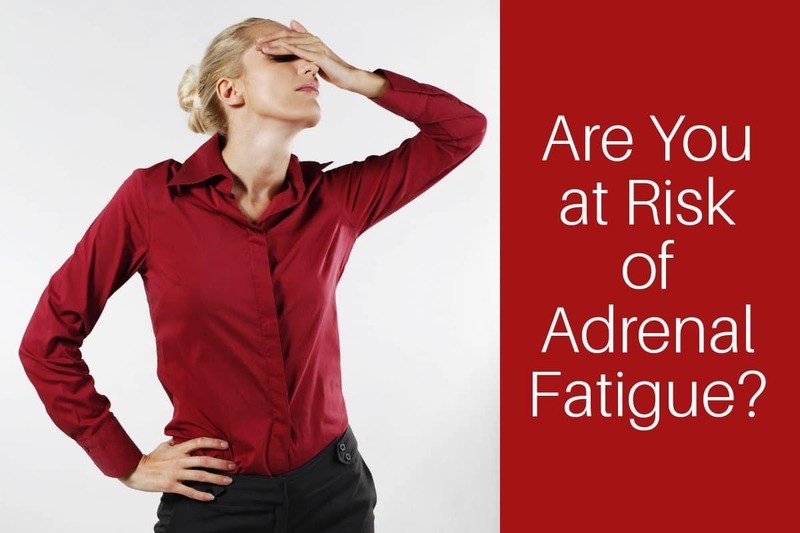 Home » Are You at Risk of Adrenal Fatigue? Stress is a leading contributor to adrenal fatigue. Find out how it impacts your body and what you can do about it. Feeling great again could be closer than you think! As an ambitious woman, you are working towards your next goal. You are trying to juggle many areas in your life and find yourself constantly on the go. This fast-paced lifestyle leaves you feeling stressed, tired and irritable. Sound familiar? Stress from a range of sources such as work, relationships, study, injury, and illness can lead to an imbalance of your main stress hormone, cortisol. This imbalance can lead to hypoadrenia, which is more commonly known as adrenal fatigue. Adrenal fatigue negatively affects the body’s ability to recuperate and heal. So, what exactly are the adrenal glands? One of those hormones your adrenal glands produce is cortisol. Your levels of cortisol naturally rise and fall throughout the day. It is the highest in the morning helping to wake you up and naturally declines during the day allowing you to fall asleep at night. Stress isn’t the only reason cortisol can become altered during the day, there are other potential contributors. These include, shift work, pain, food sensitivities, daytime sleeping, lots of caffeine and poor eating habits. You could be experiencing one or many of these symptoms and they can occur together or at different stages. Consider getting your cortisol levels checked throughout the day to see where the imbalance is occurring. This can be done via an integrative GP or natural health practitioner. How do I support my adrenal fatigue? There are many things that can put you at risk of adrenal fatigue. It is important to recognise them and re-examine your lifestyle because the path to feeling better may be closer than you think. Help manage fatigue and burnout – become part of our supportive community at Empowering Ambitious Women! Sign up for regular content on our dedicated website, Facebook and Instagram accounts. * Disclaimer: The contents of this blog post are for informational purposes only and it does not replace medical advice, opinion, diagnosis, or treatment. The information provided through this blog post should not be used for diagnosing or treating a health problem or disease. If you have or suspect you may have a medical or psychological problem, you should consult your appropriate health care provider. Never disregard professional medical advice or delay in seeking it because of something you have read in this blog post.